Yep, you heard right-- I'm digging for gold--sandals, that is! I've been wanting a pair of gold Jack Rogers for a while now and think that I'm finally going to take the plunge and buy a pair as a little present to myself at the end of finals. Recently, though, I've been considering some other options and I thought I would ask your opinions. Pros: I love them, so cute and classic. I have a white pair and a bronze pair and both have lasted for more than 4 years and are still in great shape! Pros: I have these in silver and have worn them a ton! They look great under white jeans and are definitely more comfortable than Jacks. Also, the cheapest of the 3 options. Cons: I feel like they are the trendiest of the 3 options and might not be popular down the road. I'm still kicking myself for not getting them for $35 during the Lilly Rue La La sale last week! Pros: My friend ALG has a few pairs of these and says they are super comfortable. I don't have any McKims so they would add some variety to my shoe collection. And finally, they are such a classic style that I'll be able to wear them for years. Cons: I'm just not sure if I like them enough to justify the hefty pricetag. What do y'all think? Any other suggestions? 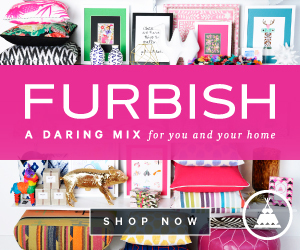 As a side note, this Friday my blog will be one month old! If I can get to 200 or more followers by Thursday night I will host my first giveaway Friday! Ok, I just read/saw/possibly dreamed?? that Jack Rogers is going to be on sale somewhere this week. If I remember, I will let you know. I have been wanting some Jack Rogers, but when you say they are not comfortable then now I don't know. I live in Ugg sandals because of the comfort. I just bought option three and I am absolutely loving them! Being a Jack Rogers fan and having them in many colors I say go for them..they are just so cute, go with everything and I actually find them to be pretty comfortable when broken in. They just look good with everything. I don't find that gigi style comfy at all..just my opinion. FYI..I don't shop on ebay buy my friend buys tons of stuff including jack rogers and has gotten them for like 60, 70 dollars! You might want to see if you can get them there if you have an ebay account....whenever i have bought them she has always rubbed it in my face that she got them for so much less! Good luck either way! And 200 followers in a month...very impressive!! I vote for the Jacks but I'm a loyal Stephen Bonanno wearer. I love that you can customize the colors of Bonannos as well as order custom length or width. Just love them! Great choices! I am seriously obsessing over gold sandals right now! I just posted today on sandals that I am loving! I like all of your picks! Hard choice!!! I am a little bias to Jacks. I don't know why. I just love the classic look of them. I have a couple of pairs as well. No they aren't that comfortable at times, but I love them still. Speaking of the above mentioned or previously mentioned sale...they will be on Rue La La on Friday! Holllaaa! Wait to see what they will priced at and maybe you can get the Jacks for dressier occasions and the Gigi's for everyday. I would try looking into the cheap version of the McKim, I'm sure that Target or another store probably sells a very similar product. See if you like the basic shape before you invest in a pair. I have the McKims and they are NOT really comfy. I used to wear them to work often when I worked at a lilly store and after 4 hours on my feet my heels were killing me!! Have you checked out any Bernardo's? I love them because they are really cushioned and classic! I agree that the JR's are not that comfy (I do a lot of walking at work), but I like them the best because you can dress them up and down. 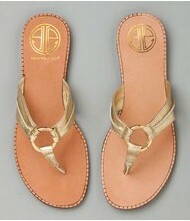 I bought some gold Tory Burch sandals last year and really like them, as well. What's a girl to do who wants all 3?? Be sure to let us know what you decided! And tell us where Daphne might have hear of teh JR's on sale! Seriously can't go wrong with any of these! I think I am partial to the Jack Rogers though! I got a pair of Lilly Pulitzer sandals in Dec for a steal $30 originally $130 in Palm Beach, that i have worn to death, and I have to say they have kept in great shape all things considered! The 3rd pair is very cute. I have a pair that looks like the second and I have to say they are very versatile, they can be casual with jeans or dressy with a summer dress. Also I don't know how you feel about Steve Madden but they usually have some cute sandals. But if you want something to congratulate yourself with I'd say the Jack Rogers!. I have 5 pairs of Jacks and I think the gold is my favorite! They definitely are not that comfortable but they are so classic looking. For some reason I just really don't like McKims compared to Jacks and can't justify the price tag. I have been dying for some Sam Edelmans in a fun color! Go for the Jack's girl...they are so classic! I love my Jacks--they're so classic, go with everything, and they always make me feel classy since Jackie O wore them haha, but I do agree, they are not the most comfortable. However, I have a pair of the McKims and I've probably worn them four times in almost a year. I think they fit awkwardly, and they just aren't my favorite. I would go for the Jacks! Jacks go with everything and they'll never go out of style. They would definitely be my pick. Personally I don't really like the look of the McKims I just think there a little too narrow to wear with bootleg cut pants. I would go for the Jacks! I have had my gold ones since before high school and STILL wear them! My mom just bought the silver version of those Sams and loves them- but the Jacks are so classic! I really like the Jacks... the gold pair is on my list for the summer. I think the cuteness factor is worth the discomfort... although I don't wear them if I have to walk too much that day! I was going to do a post this week about Jack Rodgers because I want a pair but I heard they weren't that comfortable so I never brought myself around to buying a pair, but I still think I want to test them out myself! I love my Jacks. I wear Stephen Bonannos too and think they're a little bit more comfortable and cost about the same. And seriously, all the Navajo sandals look exactly the same regardless of which designer you choose. I also love, love, love the Lilly McKims. They're definitely classic and would add some variety if you already have two pairs of Jacks. Tough decision! I'll be a fan of ol' Jack Roger for life. I mean no, don't wear them for a day of super intense shopping, buttt they go with everything and I love them!! i love the sam edelman's - love the jack rogers but everyone has them - the sam edelmans' are trendy but just a little different! 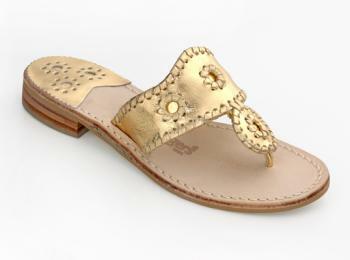 ohhh i love jack rogers! Can't go wrong with the Jack Rogers! The McKim's are cute too! 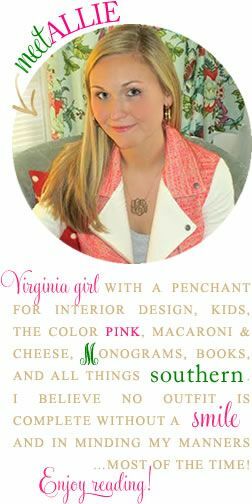 Good luck, my vote is for the Jack Rogers! The ones at the bottom featured in white also come in gold. Allie- I live in my gold Jacks. I can't wait to get a gold watch to match. Love the first ones- they are classic and will last YEARS! Jack Rogers boutique opens on Rue La La tomorrow! Just in case that's what you decide! 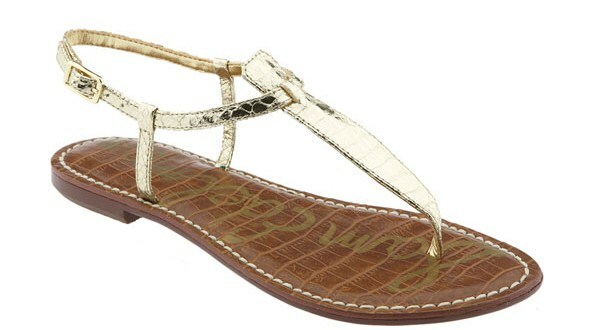 Banana Republic has a pair of classic gold sandals that are so affordable. I have the equivalent from another season and have worn the heck out of them. A little boring but then you can get 2 pairs! Thanks for the sweet comment on my blog! I love the Sam Edelman ones..always love their stuff and always will :) Can't wait to see what you end up getting! I got my platinum Jack's (new) from eBay for $71!! Took a little while for my heels to get used to the decorative heel, but my soles crave these comfy shoes once I broke them in! Ooooo, I need to get a pair of Jacks! Good luck on your goal of 300 followers!